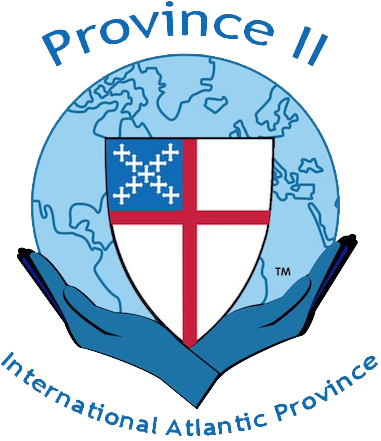 News, reports and resources for the 78th triennial General Convention of The Episcopal Church, June 23 - July 3, 2015 in Salt Lake City, Utah. General Convention Blog, with posts by members of the Diocesan Deputation. Featured at General Convention - Videos that appeared on the screens at General Convention. Sermons and announcements from General Convention - Posted by the Office of Public Affairs. Episcopal News Service - All articles tagged 78th General Convention. House of Deputies News - News, features and commentary, in English and Spanish, in print, podcasts and videos, by the House of Deputies communications team. General Convention "Spundge" Notebook - A collection in one place of all public social media posts tagged #gc78. Compiled using the free social media utility Spundge by Beth Felice, Director of Communications for the Diocese of Missouri. General Convention - The official website of the 78th General Convention. Presiding Bishop nominees - Read about the four nominees and watch their videos. Blue Book Reports - The reports and recommendations of all committees and task forces. TREC Report [PDF] - The report of the Task Force for Reimagining the Episcopal Church. Marriage Report [PDF] - The report of the Task Force on the Study of Marriage. Learn about the 78th General Convention of The Episcopal Church [PDF] - A graphic booklet produced by Episcopal Church Foundation's Vital Practices.